Floating between the ground and the ceiling, a mezzanine level is a bonus slice of extra space. Although mezzanines can work in any style of home, they are typically found in either very big, open properties – where the mezzanine bisects a lofty roof space – or very small homes, where every inch counts and building a platform bags vital extra room. They can be made for any purpose, from skinny bedrooms tucked up in the eaves to vast living rooms suspended in front of a wall of glazing, and these interesting hovering rooms are often at the cutting edge of clever design. So come with us as we climb the stairs to a whole new level. 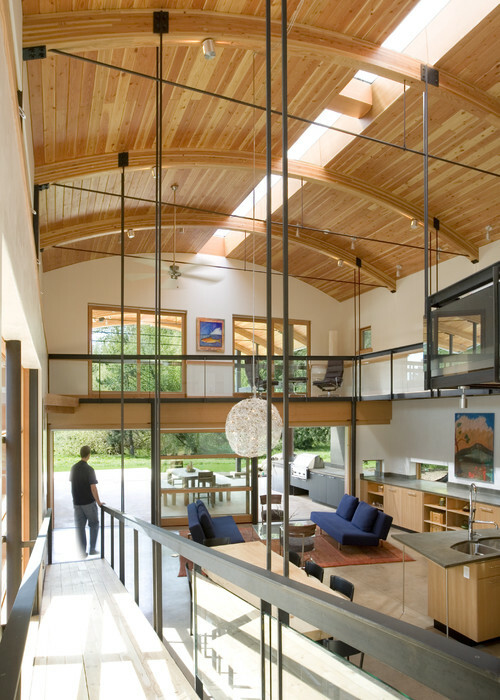 The steeply pitched roof of this home has been filled with a mezzanine running down its central, highest part. A bedroom, built-in wardrobes and a bathroom at the far end have been designed and decorated in pure white to tie in with the white ceiling and help the space feel light. 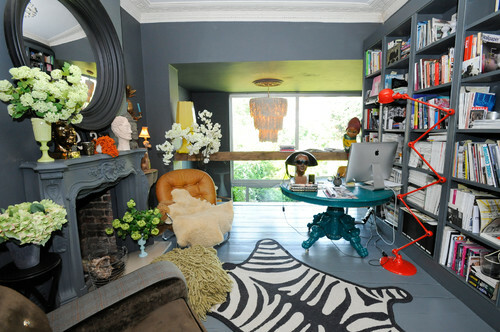 Light, bright and elegant, this skinny slice of space has been made into a contemporary library. Natural light floods in through the enormous window, while the glass floor in the mezzanine allows more light to circulate and gives the space a floating feeling. This modern house has a curved, sculptural roof as its key feature. A ramp leads upstairs and around a whole mezzanine system, containing an office on the side and culminating in a beautiful living space at the front, with fantastic views over the countryside beyond. Sometimes it’s nice to retreat to a quiet spot without completely shutting oneself away. 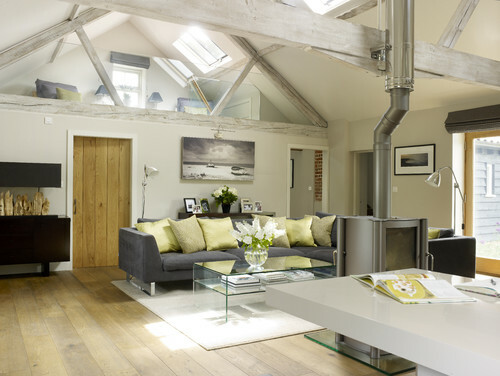 The beautiful mezzanine living space in this converted dairy allows just that. It overlooks the open-plan living and kitchen space, but its height offers some privacy. The glazed sides keep the space looking light and unobtrusive and, of course, make it safe, too. Mezzanines aren’t always built into a lofty space – they can be created when the ceiling in an adjacent room is removed to create a double height area, which the bordering rooms then overlook. 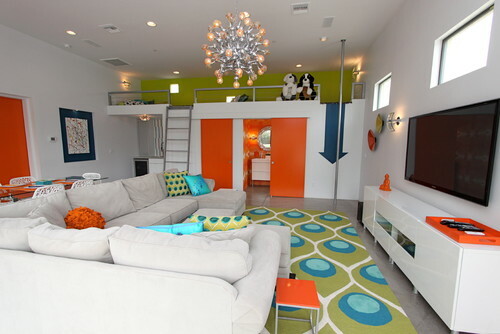 This colourful open-plan home contains a fun mezzanine for children to play on. This helps the living space stay tidy, as toys and kit can remain out of sight on high, and allows children some privacy within the communal family area. The floor space below is then free to be converted into a small kitchen and bathroom. It’s a design that maximises space beautifully. 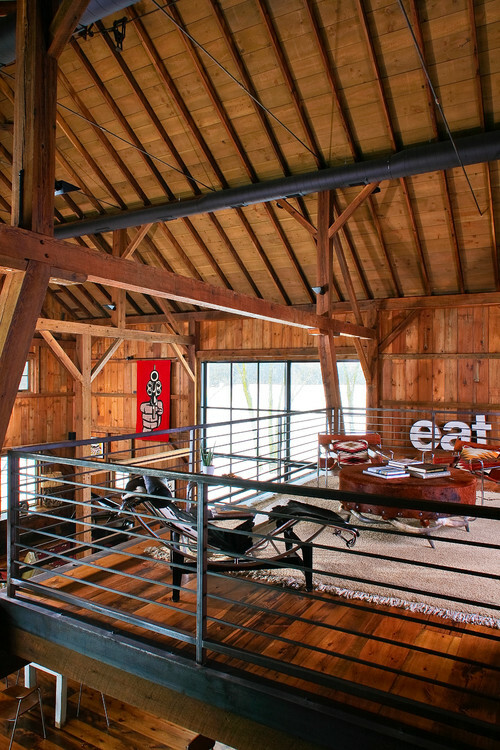 The rustic roof of this converted barn is one of its chief features. It is beautiful, but also incredibly high, and while planning consent might not have stretched to building a second floor in here, it has permitted the inclusion of a striking mezzanine. The mix of rustic original features and industrial style works brilliantly and brings a once dilapidated barn up to date. 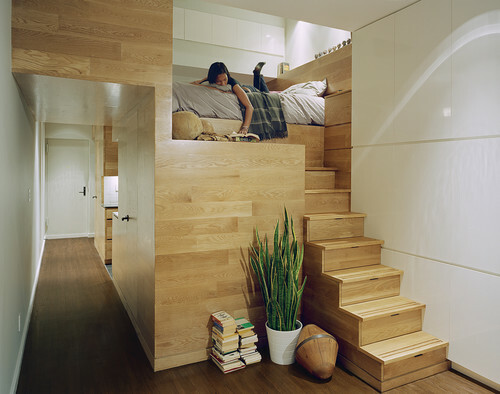 Not all mezzanines are rooms in their own right. You can simply have a corridor leading to the upstairs bedrooms, but being able to see it from below creates a sense of connectivity in the house and allows light to flood the space. Deep colours and built-in shelves make this office space on the first floor feel more intimate than the large, open-plan space below. The fact that it overlooks the ground floor creates a feeling of connectivity and flow, and it also benefits from the natural light coming in through the double height window beyond.